English garden inspired White House landscape. The garden fashion that our early Presidents admired was that of the English. 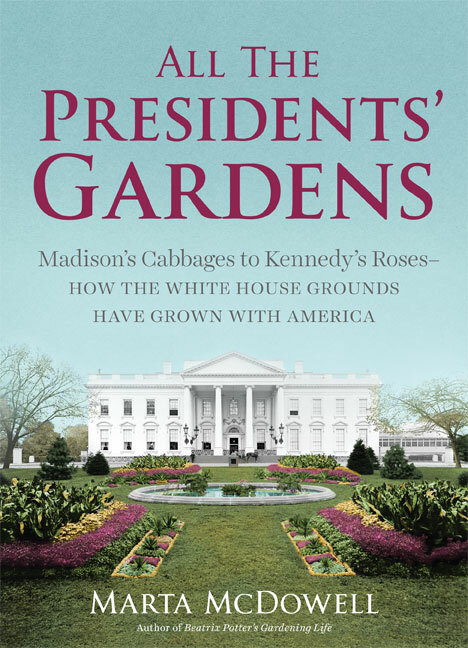 In her book All the Presidents’ Gardens author Marta McDowell tells the story of how various Presidents left their mark on the landscape at the White House. Thomas Jefferson preferred the English romantic garden, according to McDowell. The elements that made us this design included the simple carriage drive, underscoring Jefferson’s republican ideals of direct and open government. Jefferson offered a bit of formality and neoclassical design in the White House landscape. English politician and writer Thomas Whatley’s book Observations on Modern Gardening (1770) had influenced Jefferson’s opinion about the landscape garden. Jefferson had seen several of the great gardens of England on his grand tour of the country with John Adams, all recommended by Whatley. Jefferson loved the English garden. Thus the early English design choice for the garden of the White House set the stage for what would become America’s most famous landscape.